This program has been developed to help students identify and achieve their post high school objectives. The role of the mentor is to help the student articulate their post high school objectives and find and achieve stepping stones to achieve them. 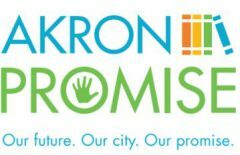 All Akron Promise mentors are trained and have background clearances through iC.A.R.E Mentoring, the Akron Public Schools platform for mentoring. Mentors will meet with students in and out of school once or twice a month as well as remain in contact via e-mail or text as students take steps toward their goals with the guidance of their mentor. Do you have one or two hours a month to work with these students? Please contact me at TGhinder@gmail.com and let’s work together to change the lives of students in at Kenmore-Garfield High School! More information can be found here.